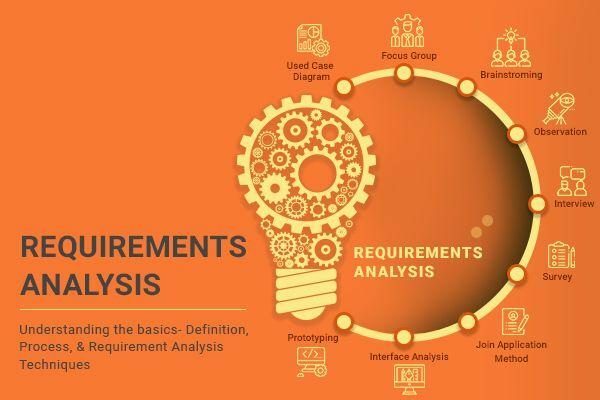 As a Requirements Specialist, your primary responsibility is to gather, analyze, document and validate the needs of the project stakeholders. It may seem like a cake walk to others but you would be well aware of the challenges you have to deal with day in and day out. Your average day might begin with a cup of coffee and thinking about how you will handle any of the following challenges. To begin with, you have to align the requirements with different needs and interest of the stakeholders. The product owner might be focused on the features and usability of the software while the business team might be pushing on releasing the software sooner. There might be an instance wherein a requirement from a stakeholder might conflict with some other stakeholders’ interest. It’s common in the agile projects that you have to deal with customers who are not clear about what they want. It can be a living nightmare for you to formulate requirements when you are working with a vague idea of the software to be developed. I’ll Know It When I See It (IKIWISI) approach of the customer might lead to scope creeps. Even if you have a Business Requirements Document, you can expect the customer will change priorities. This is a very common phenomenon that you might come across very often. 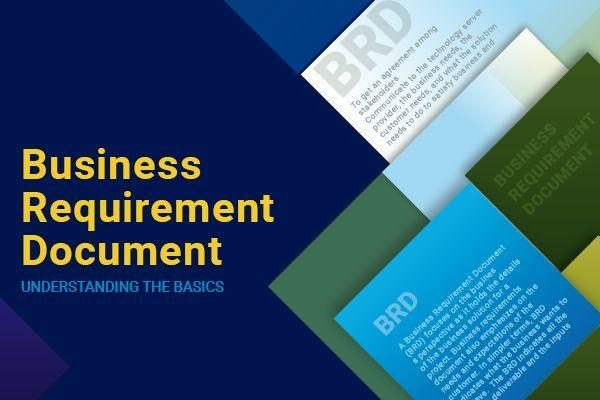 The customer might have prioritized requirements earlier but you may have been passed on an entirely new set of requirements in the next meeting. You may be juggling between requirements. You know it is frustrating to alter your plans at the last minute but it is part of being a Requirements Specialist. At times you land up in a project where the stakeholders are not enthusiastic about following the procedures that help in improving project outcomes. The low commitment from the stakeholders adds up to your difficulties in formulating requirements and incorporating the changes. How to overcome these challenges like a pro? You will agree that if you can overcome the above-listed challenges, you would be one of the top performing Requirements Specialists at your company. Let’s see the solutions that would ease off your everyday woes. Imagine you have a centralized repository of requirements which can be viewed by you and every stakeholder of the project. This way each stakeholder will be aware of the needs of other stakeholders. They may know the restrictions and limitations of the project. For instance, the business team will know if they plan to release the software earlier, there might be challenges with the performance. Keeping everyone on the same page with the requirements will make your life easier. The biggest challenge of working with a remote team is their availability due to a time difference. A tool which can allow you to inform your remote teammates about the latest version of requirements will help you work without getting affected by the time zone difference. While dealing with a customer who is shifting priorities now and then, a powerful reporting tool will help you inform the customer on the scope creeps due to shifting focus. If you give insights to the customer about a minor change in the requirements could result in a major delay, the customer will understand your point of view. The next question that will be coming to your mind will be how you can implement these solutions. You don’t have to worry; we have got you covered. 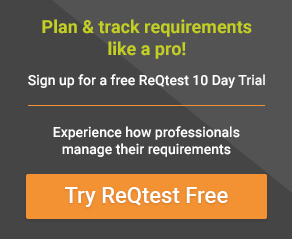 ReQtest is the answer to all the challenges faced by you as it provides a single-stop solution to Requirements Specialist. How will ReQtest help you excel in your role? ReQtest is a tool that helps Requirements Specialist like you in effectively managing their requirements. ReQtest can be your go-to tool while working with business requirements, functional Requirements, non-functional requirements, UI requirements or any other requirements. ReQtest’s Requirements module allows you to maintain a centralized repository of the requirements. The requirements are stored in a hierarchy tree to help you know the visual context of the requirement. Requirements are stored in a list format as well. 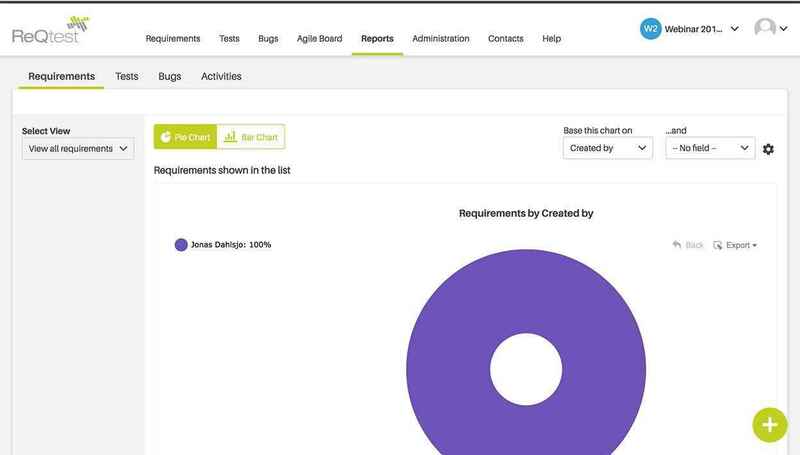 All the stakeholders can have a single view of all the requirements. 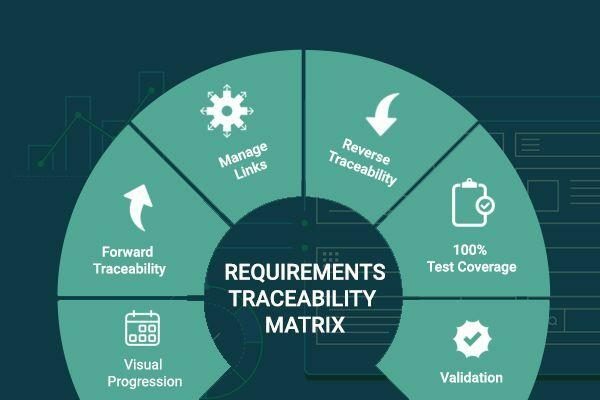 With all the stakeholders getting a centralized view of requirements, there will be no conflicting requirements. 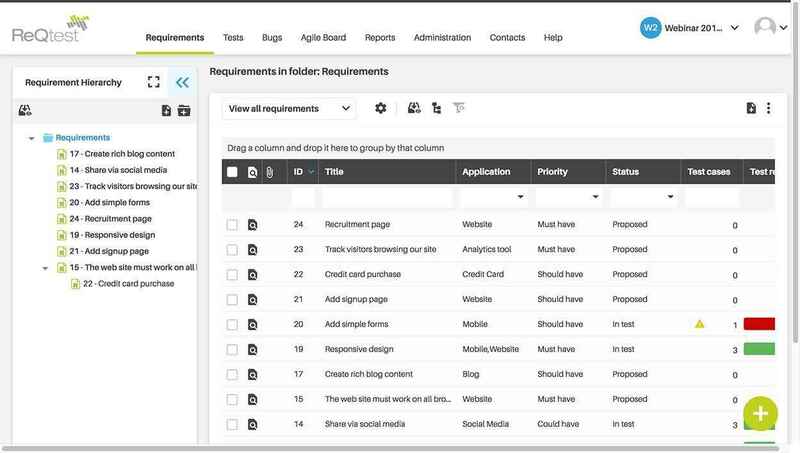 You can even filter out requirements based on different stakeholders. 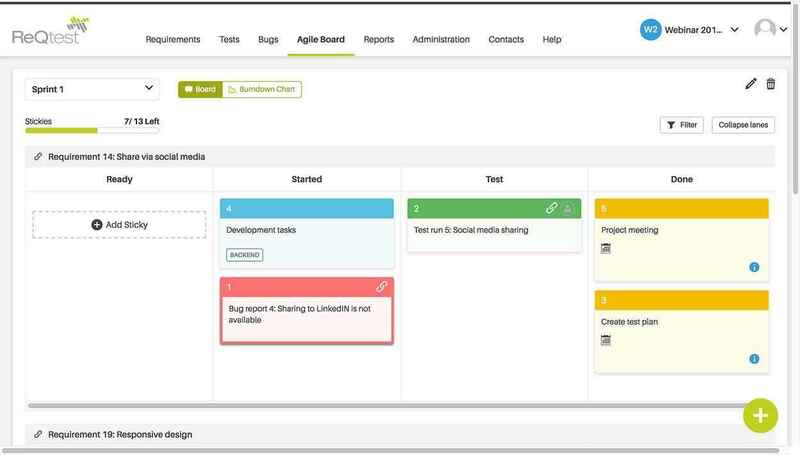 The Agile board can be used to improve collaboration with your remote team. It helps to remove the barriers of time and location. It will provide you anytime and anywhere access while working with a distributed team. You can collaborate with the customer through the Agile board for brainstorming as well. You can also use stickies on the Agile board for segregating the requirements. The reporting module in ReQtest will help you stay updated on any scope creeps or any changes to the requirements that can affect project progress. The reports will also help you better plan your activities. You can also identify the priority of the requirements and status of the requirements in a whole through graphs and charts. Now we have seen the most common problems you face as a Requirements Specialist. You have also seen their solutions and how ReQtest will implement these solutions for you. The next step for you would be to explore ReQtest. What are you waiting for? Signup for a free trial today!